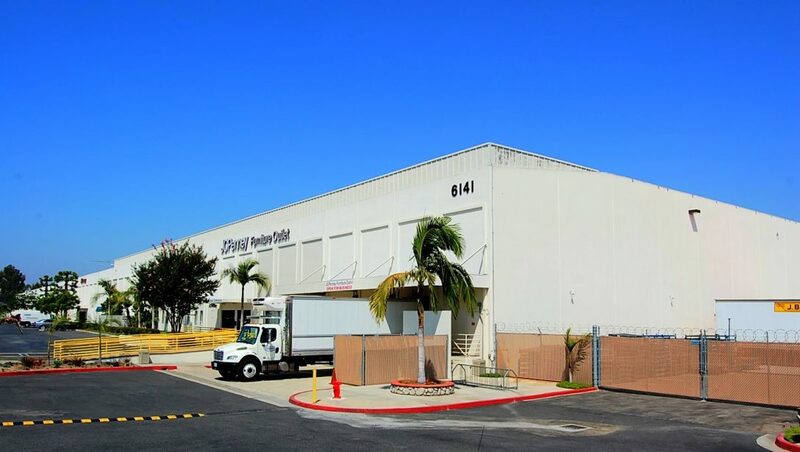 The Lee Chang Group facilitated the largest single tenant property disposition in Orange County. Valued at just over $131 million, this sale is the largest contiguous single tenant property sold in Orange County in the last 25 years. NAI Capital along with NAI Global Corporate Services and NAI Capital Market Group were brought in by JC Penney Company to handle the disposition of their 1,084,963 sq ft distribution warehouse in Buena Park. JC Penney purchased this facility back in 1991. This distribution facility receives all goods coming in through the Los Angeles and Long Beach ports. From here, the products were separated and delivered to the appropriate retail stores. More than 25 potential buyers put in offers to purchase this iconic Orange County asset. CenterPoint Properties ended up being the winning bidder. CenterPoint owns and manages over 325 properties totaling 58 million square feet all throughout the United States. CenterPoint began its industrial real estate operations in 1984 as Capital and Regional Properties Corporation, the U.S. investment vehicle for Capital and Regional PLC, a property company traded on the London Stock Exchange since 1986. CenterPoint completed its U.S. initial public offering in December 1993 after consolidating its operations with and acquiring the properties controlled by, FCLS Investors Group, a Chicago-based industrial development company with 30 years of local experience. After 12 years as a public industrial real estate company, CenterPoint was acquired by CalEast Global Logistics in March 2006. CalEast is a leading investor in logistics warehouses and related real estate whose members include the California Public Employees Retirement System (CalPERS) and GI Partners, a leading private investment firm focused on asset-backed businesses and properties. Today, CenterPoint is a leader in the development, redevelopment, acquisition and management of logistically advantaged industrial real estate and transportation infrastructure. With a portfolio spread throughout strategic port-centric and logistically advantaged markets in the continental U.S., CenterPoint helps enhance business and government supply chain efficiency. The Company invests in major coastal and inland port logistics markets anchoring North America’s principal freight lanes. The property was constructed in 1967 and is situated in a prime Orange County location just off of the 91 Freeway. It consists of 1,084,963 square feet of space and is situated on a 45-acre parcel. The property features up to 30’ minimum clear, a large wrap around yard, 154 dock high doors, 584 auto parking spots, and 263 trailer stalls. The Lee Chang Group has become a leader in maximizing sales prices for their clients. However, their representation services also include those for buyers, landlords and tenants.